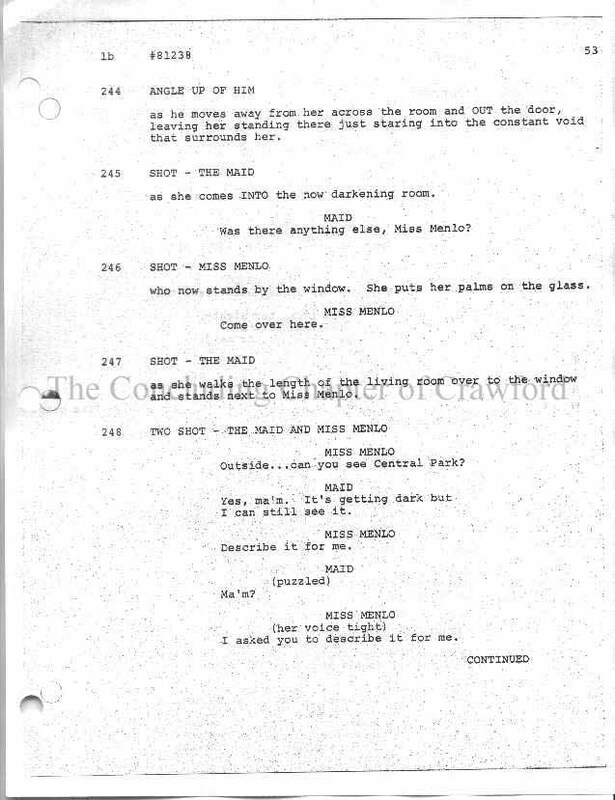 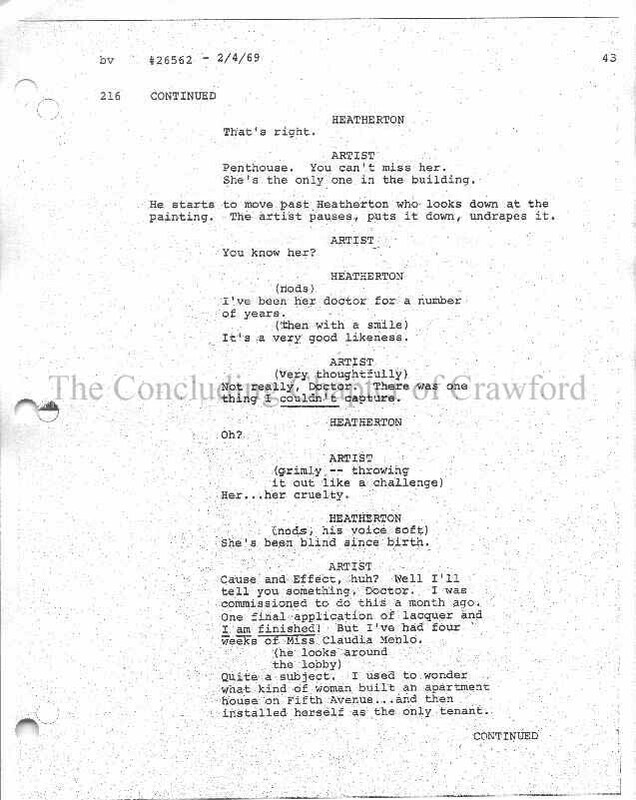 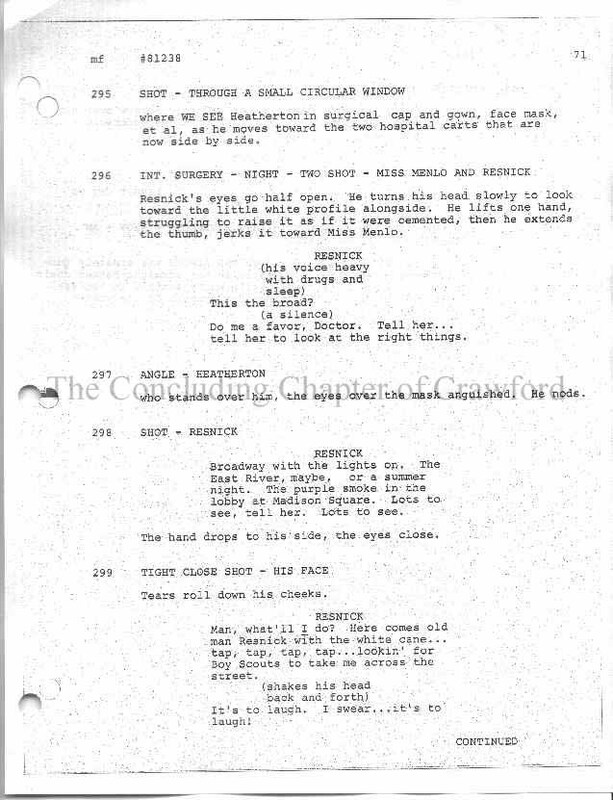 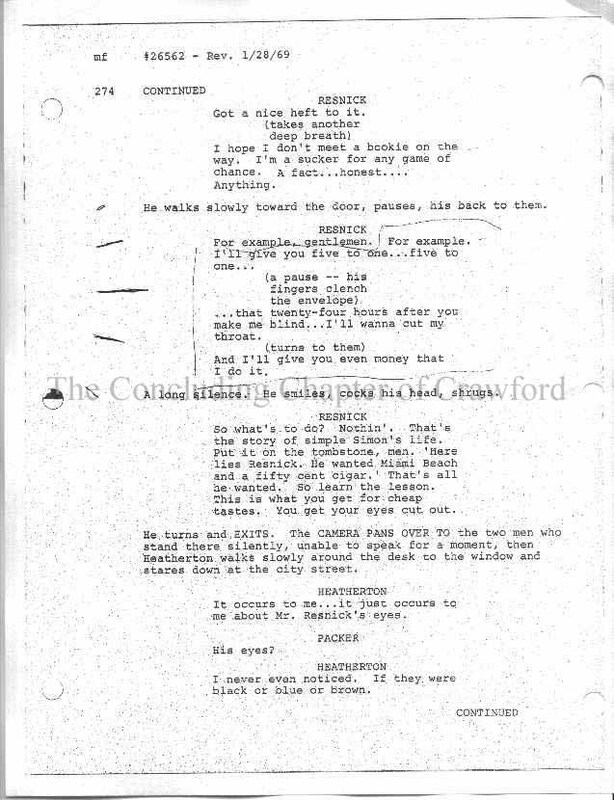 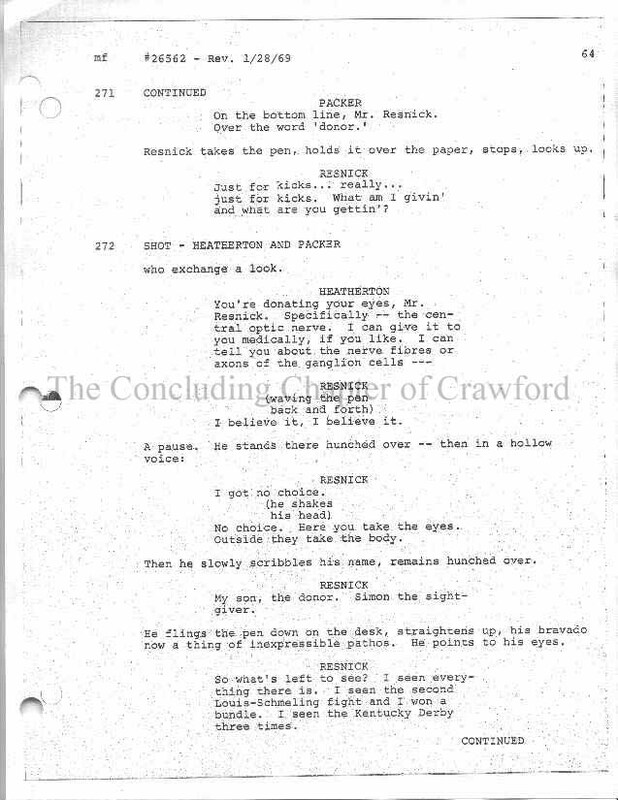 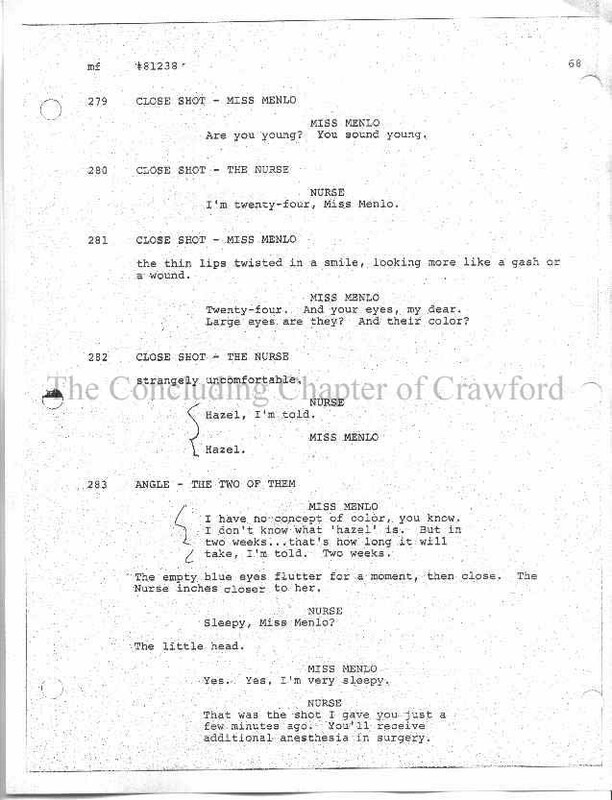 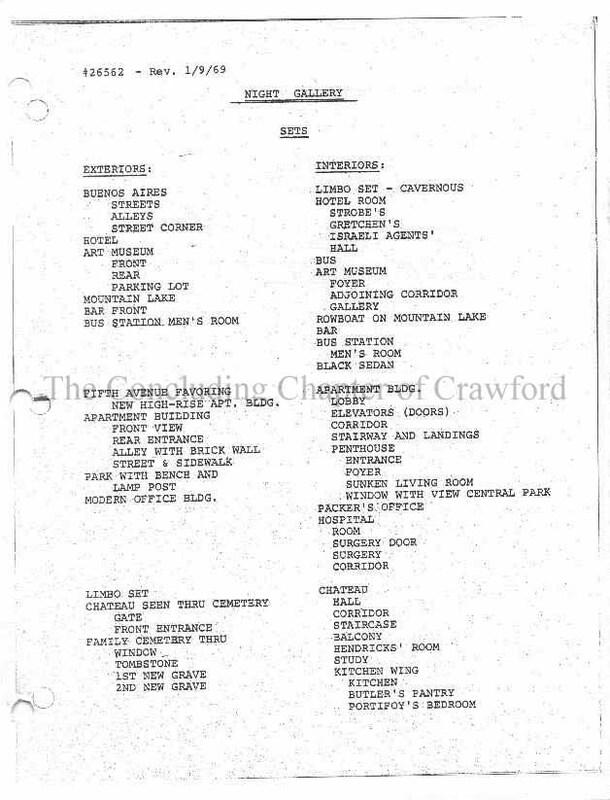 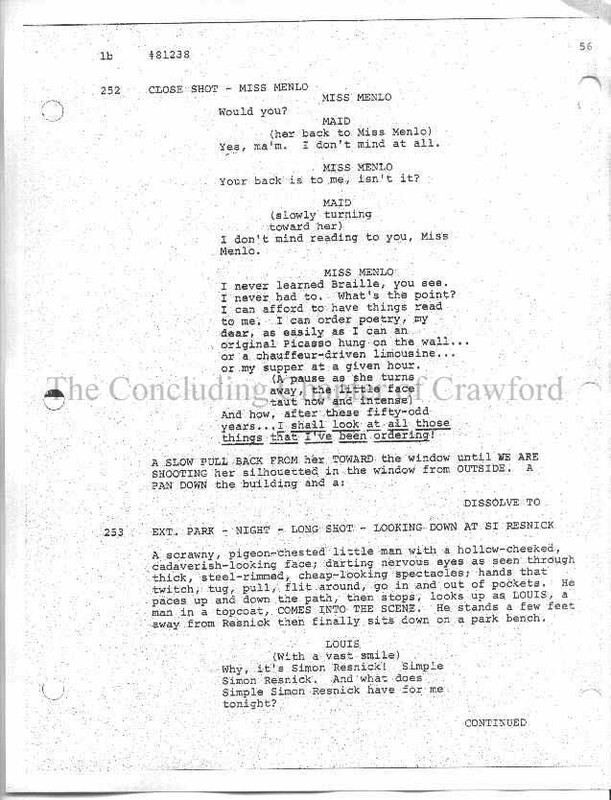 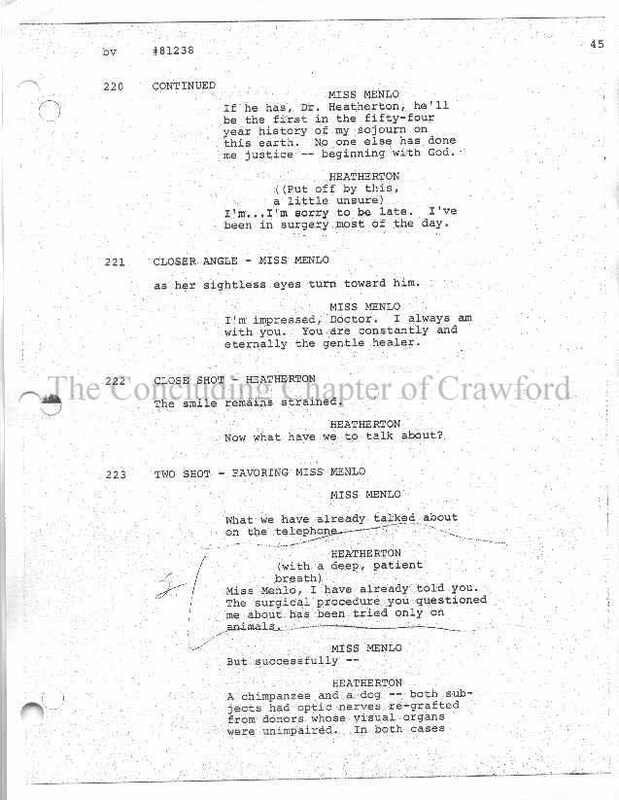 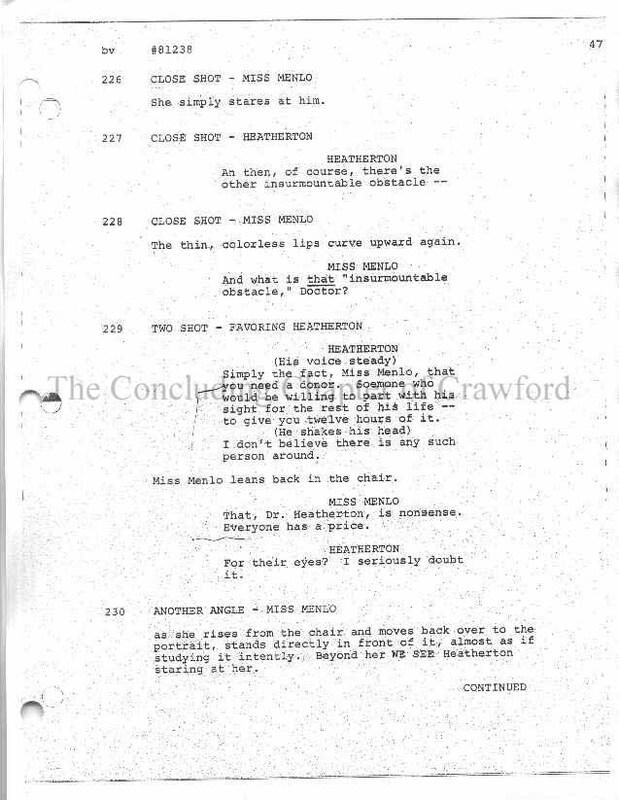 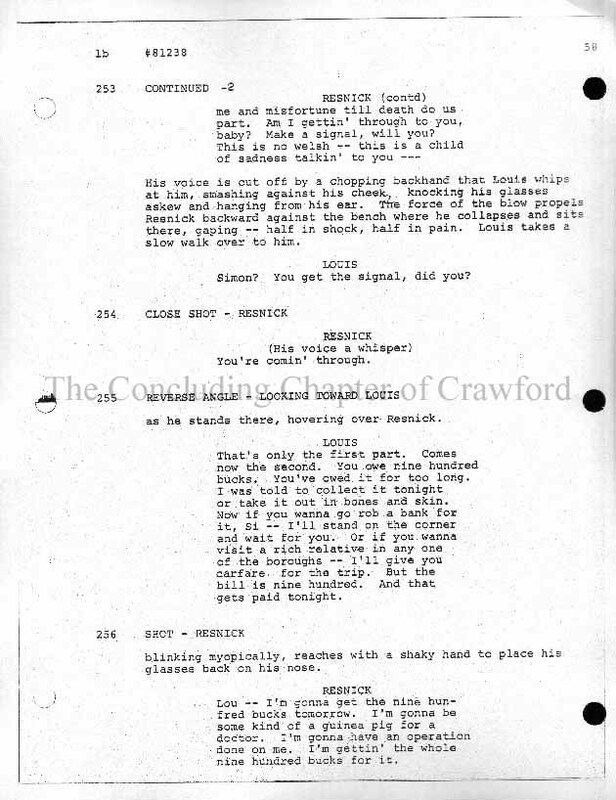 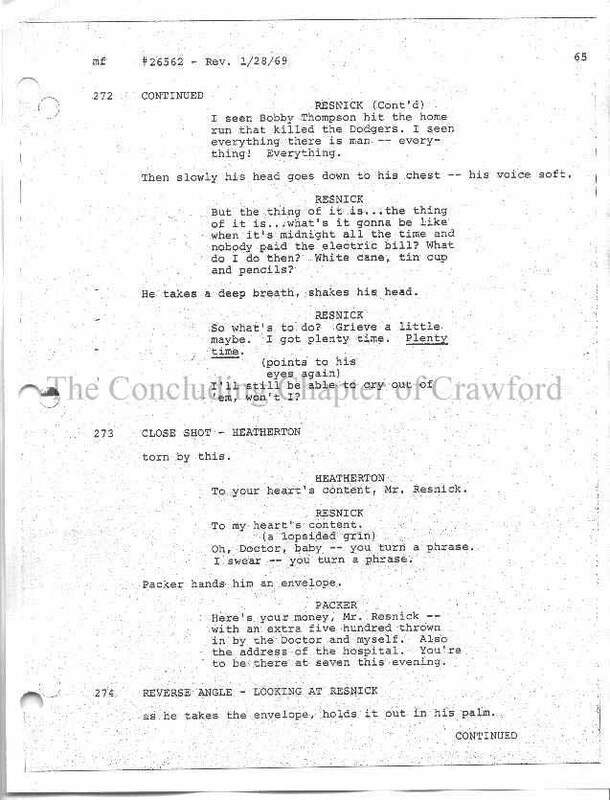 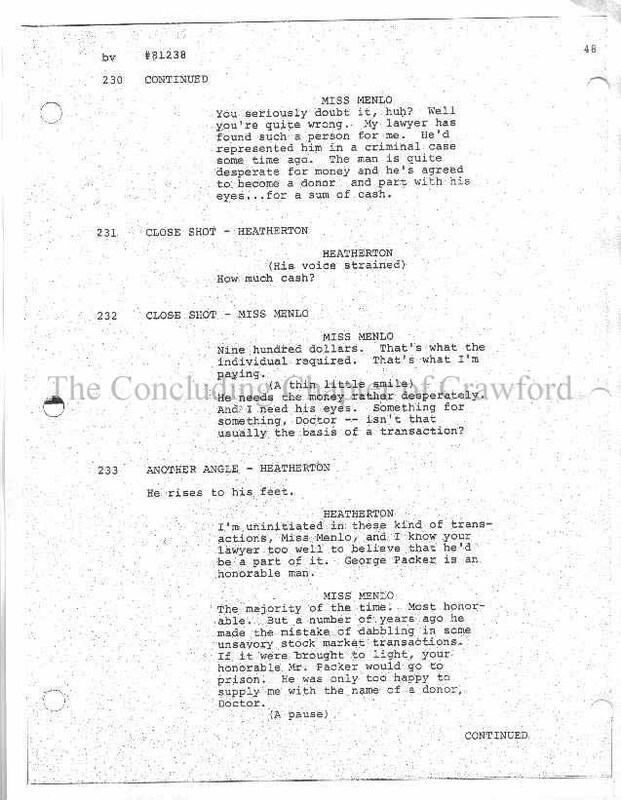 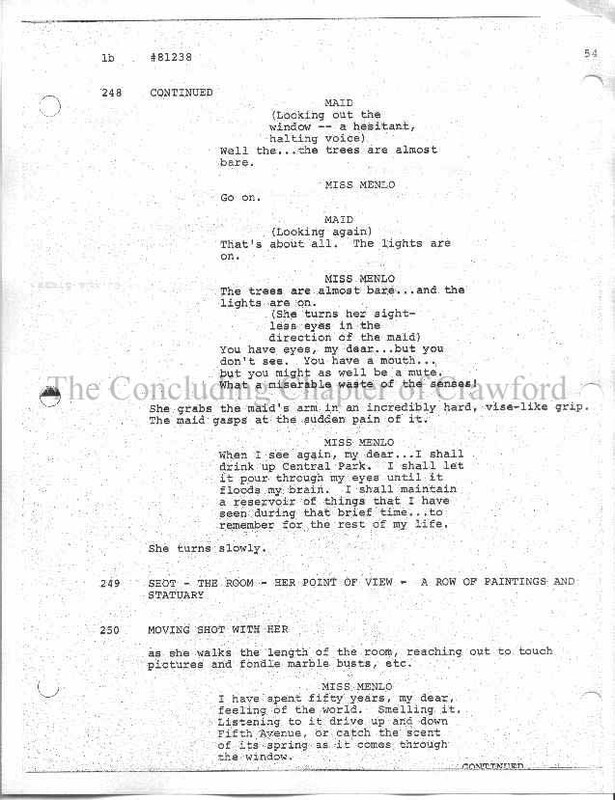 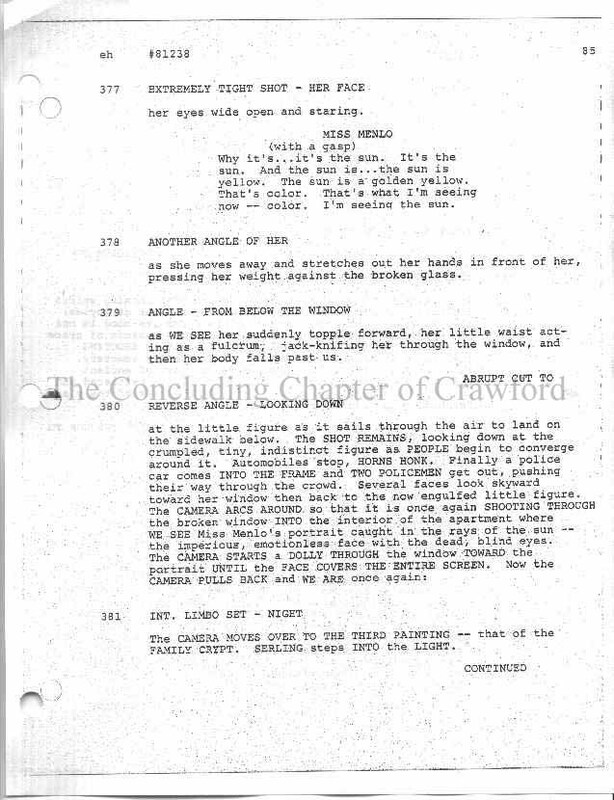 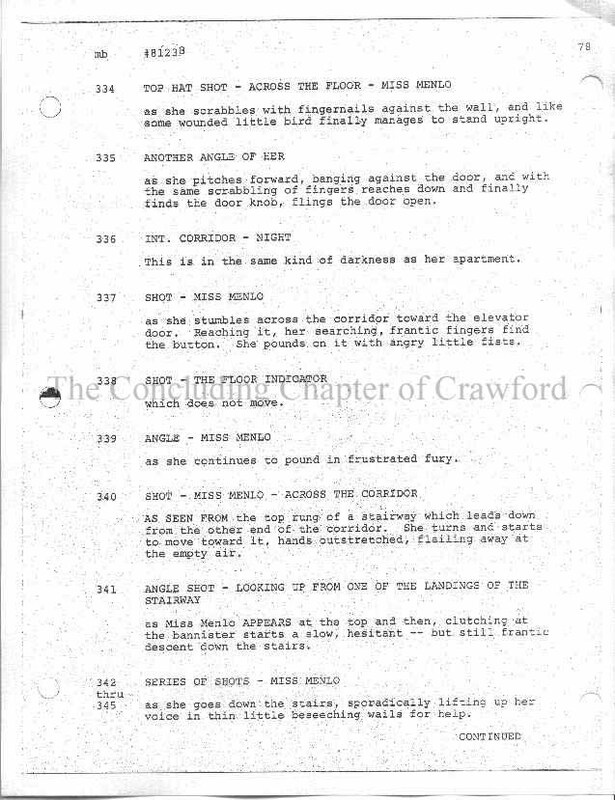 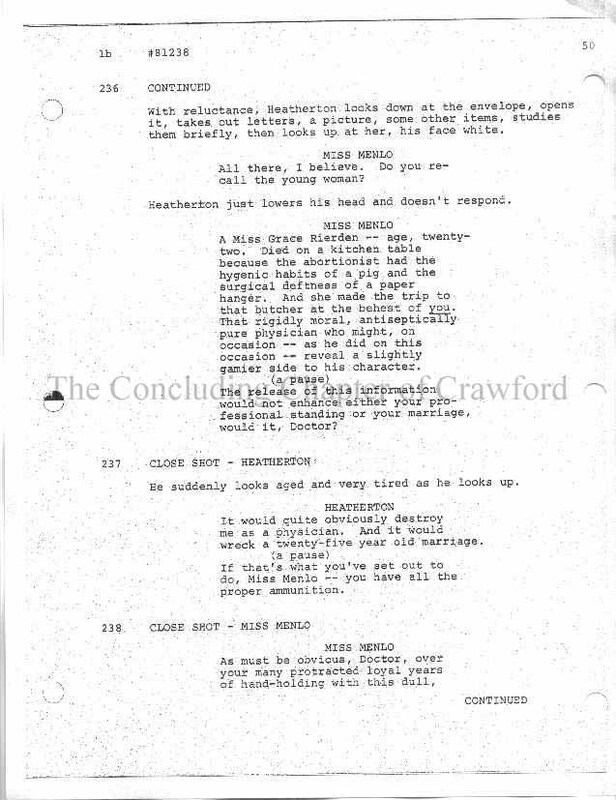 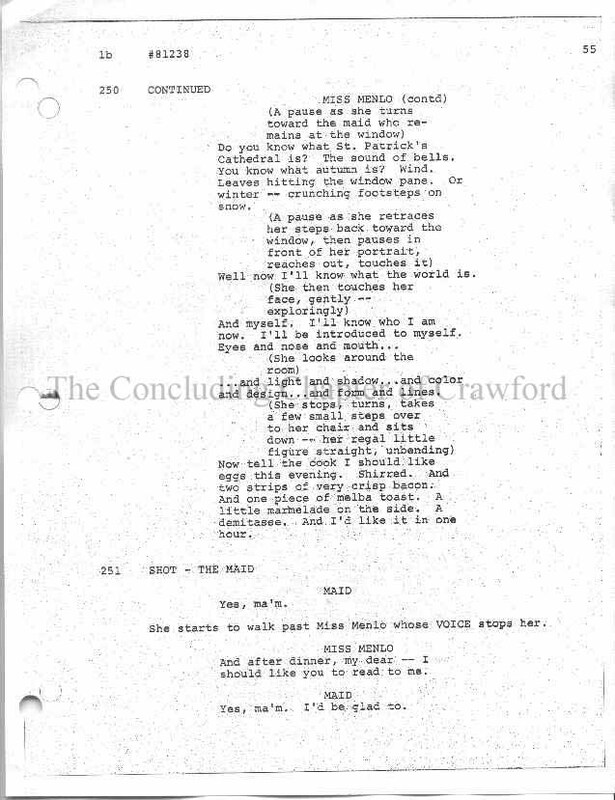 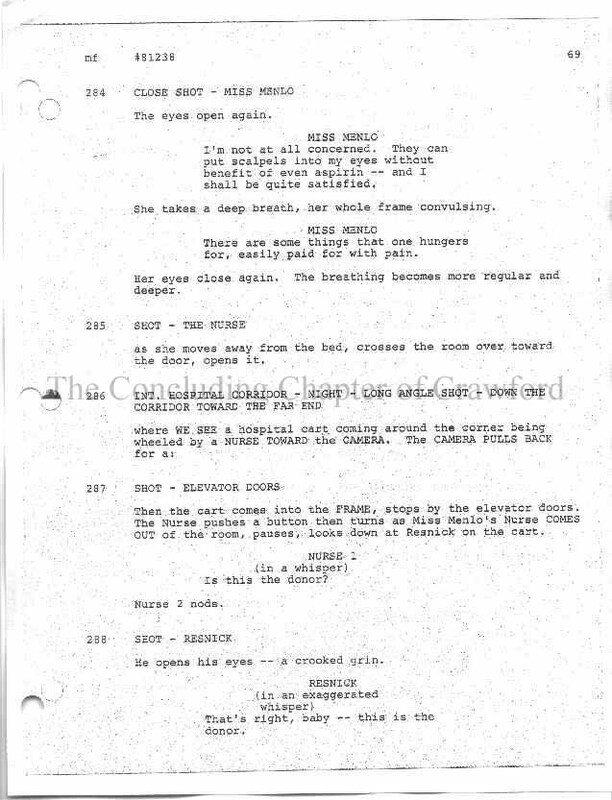 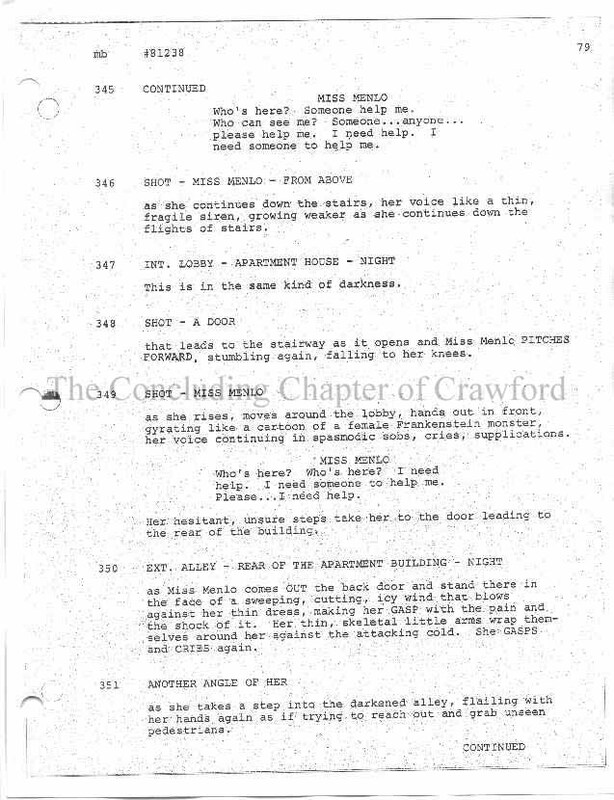 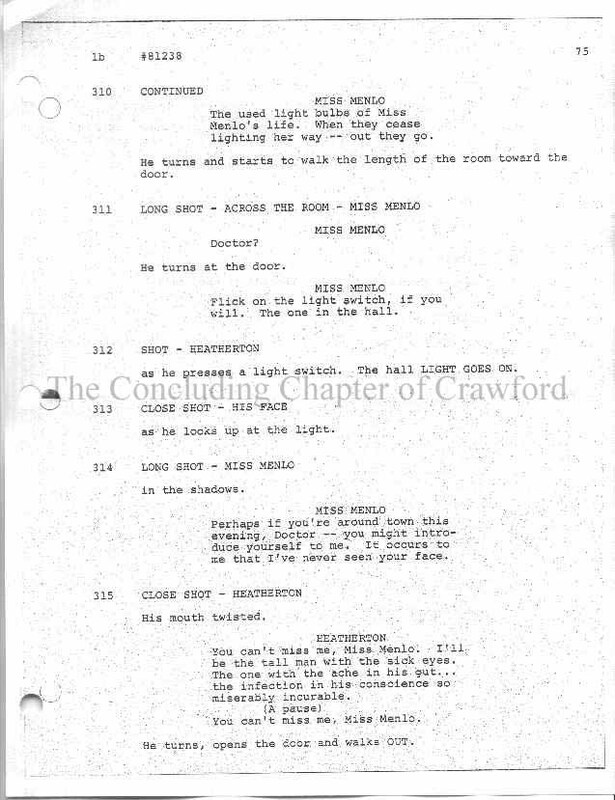 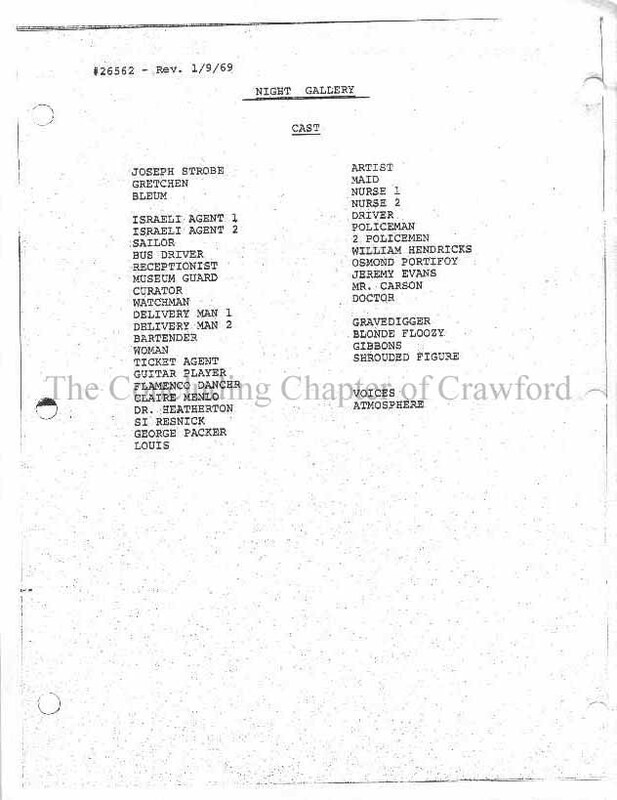 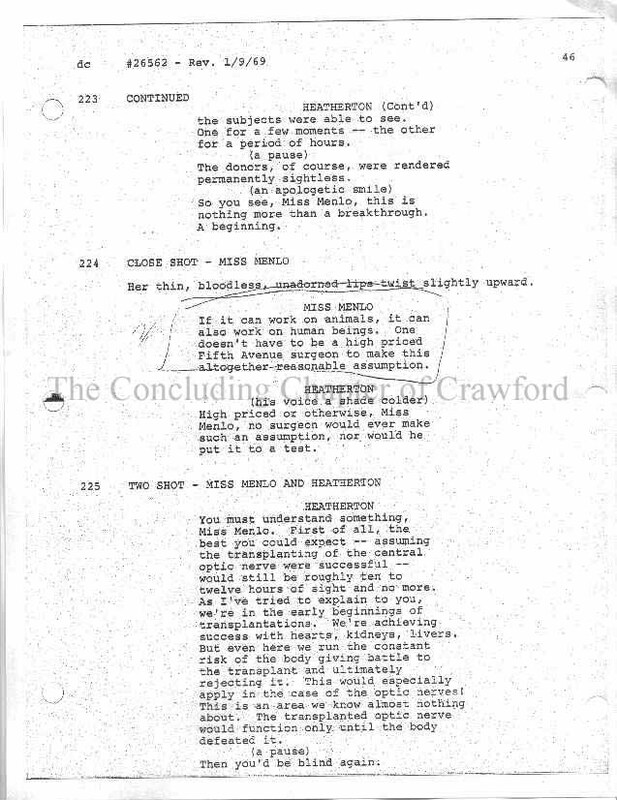 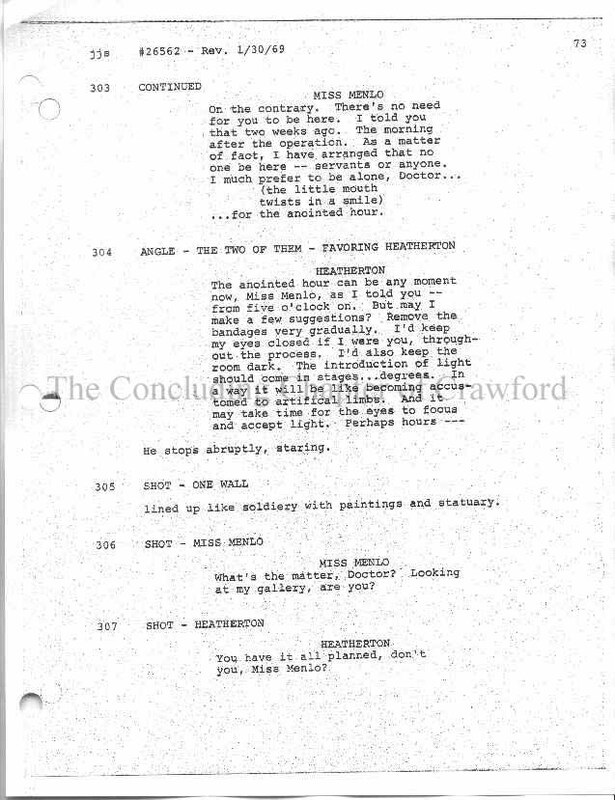 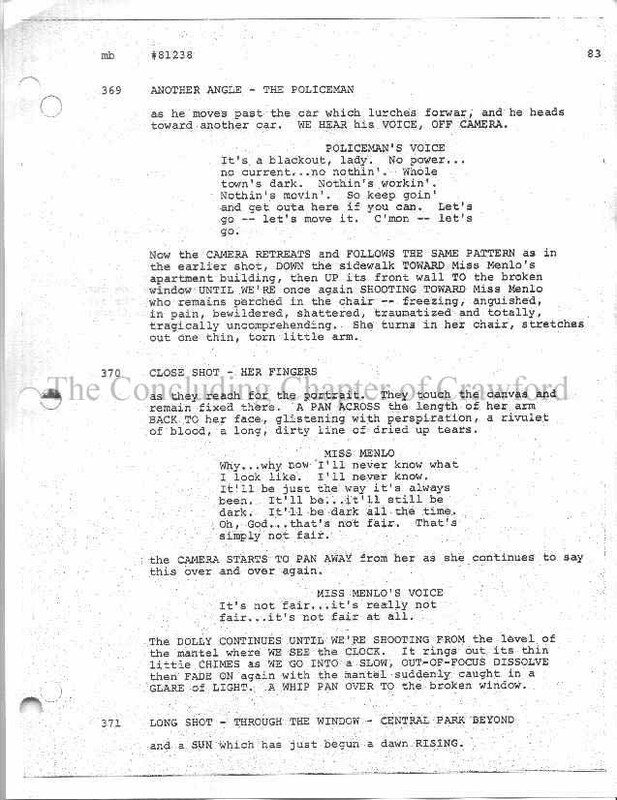 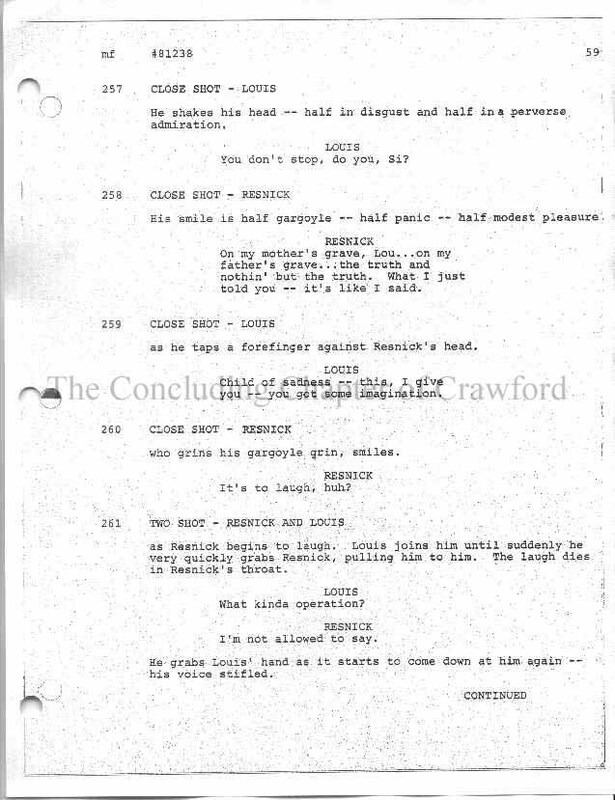 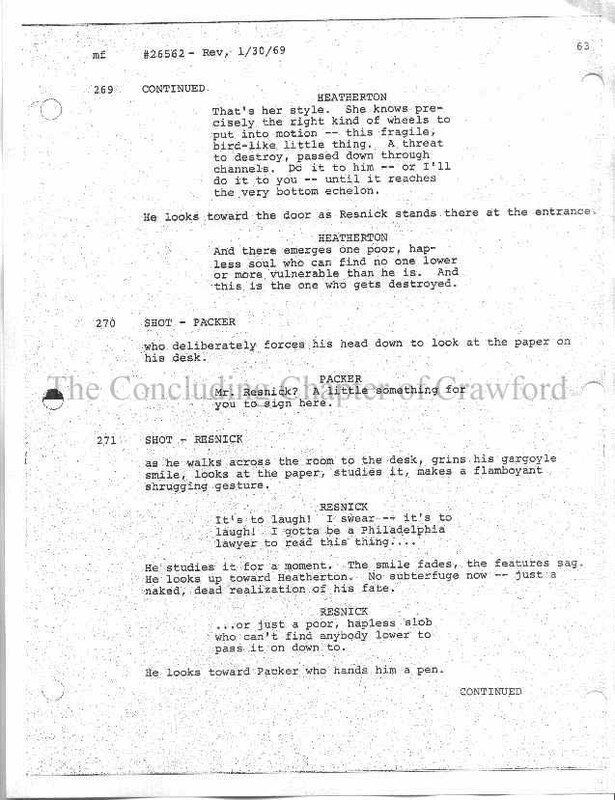 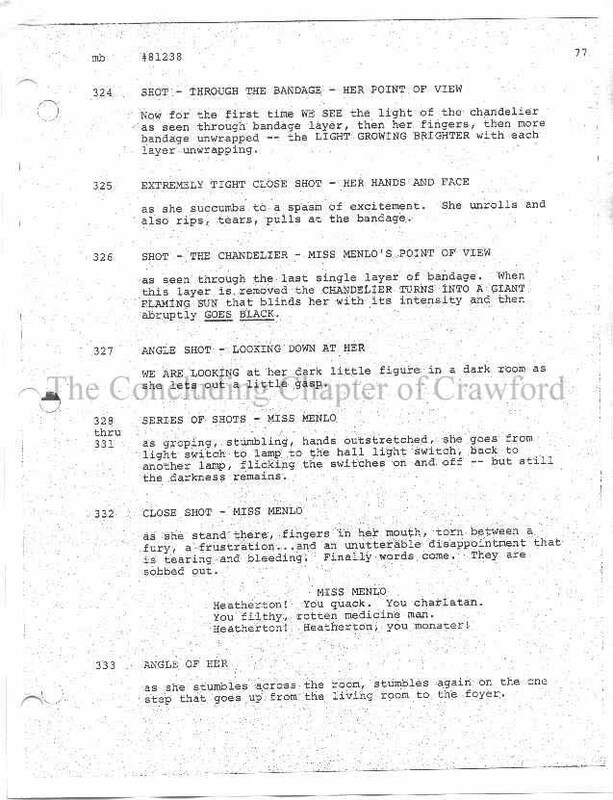 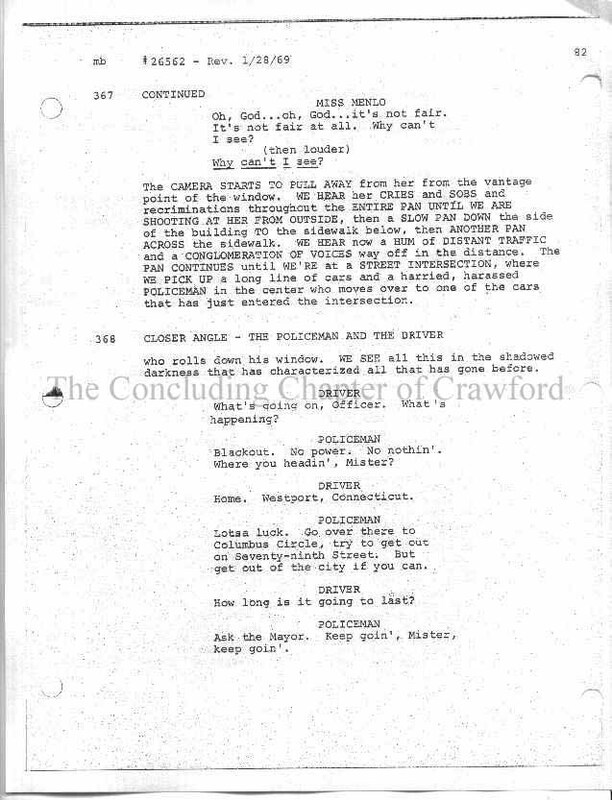 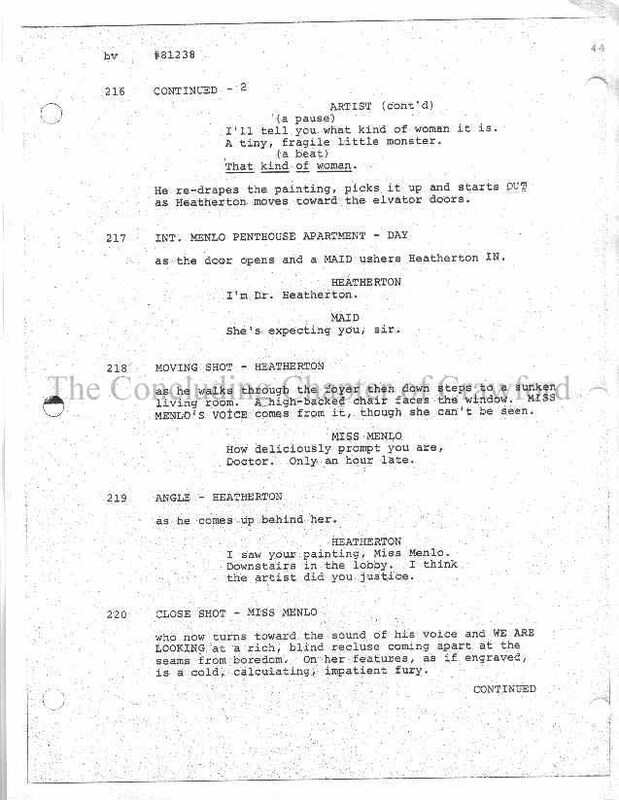 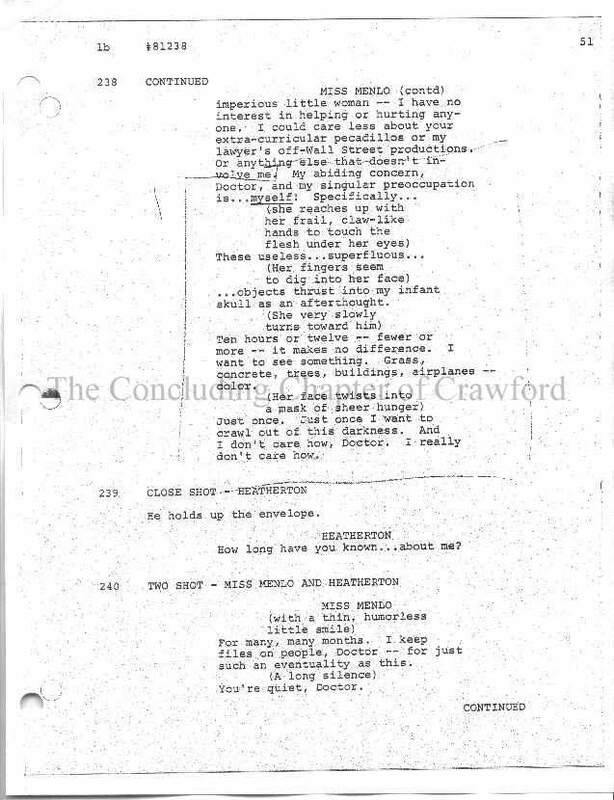 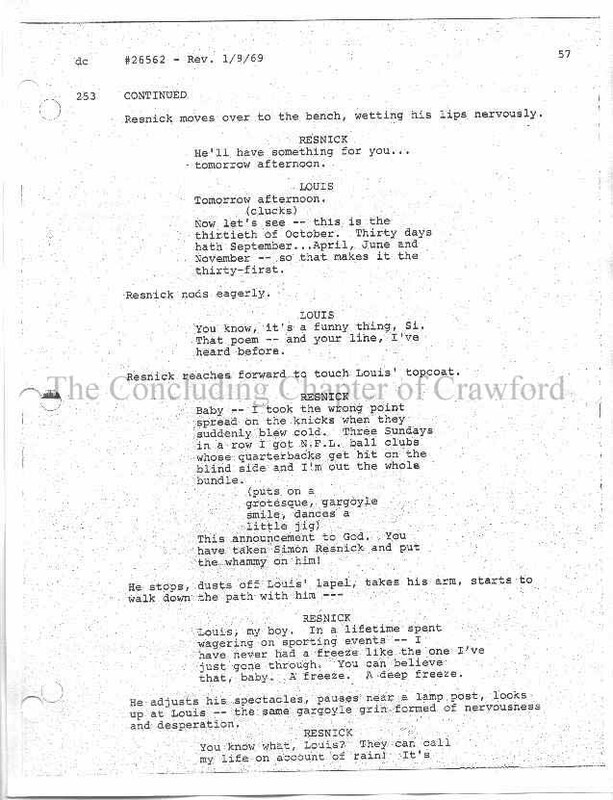 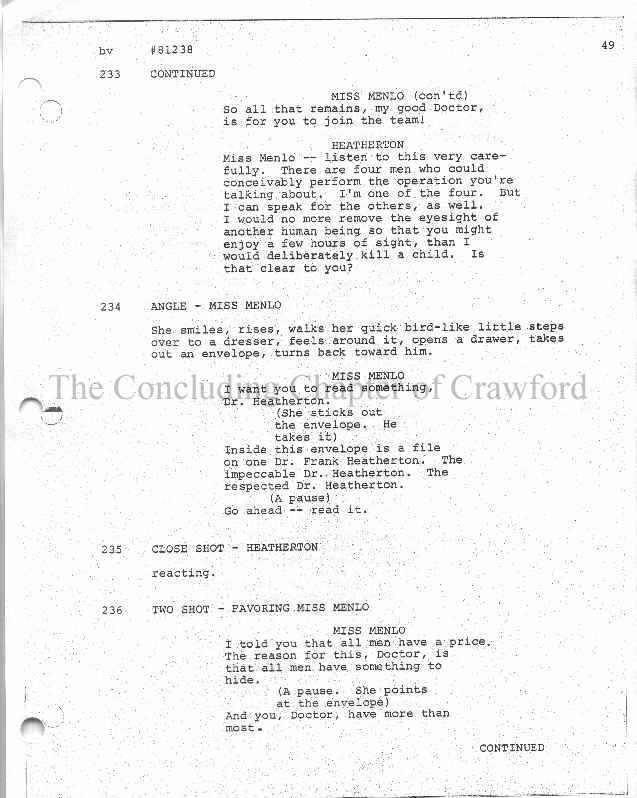 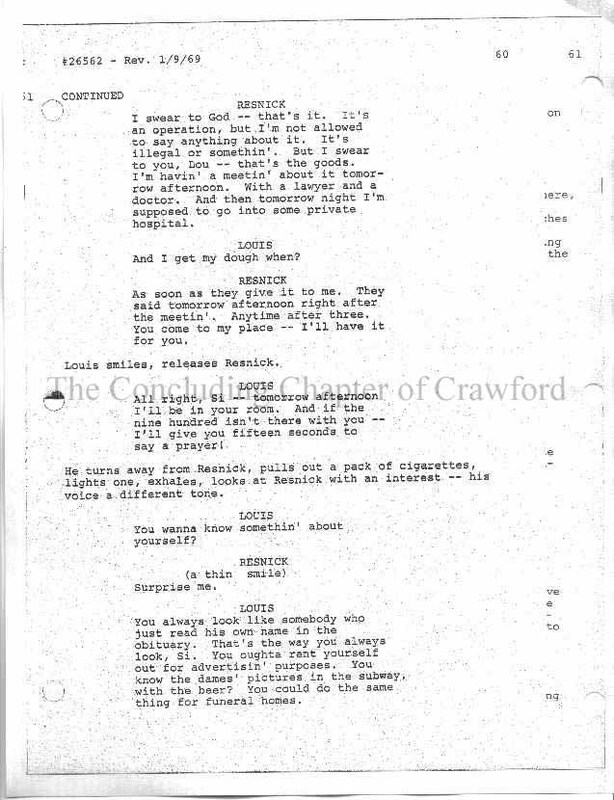 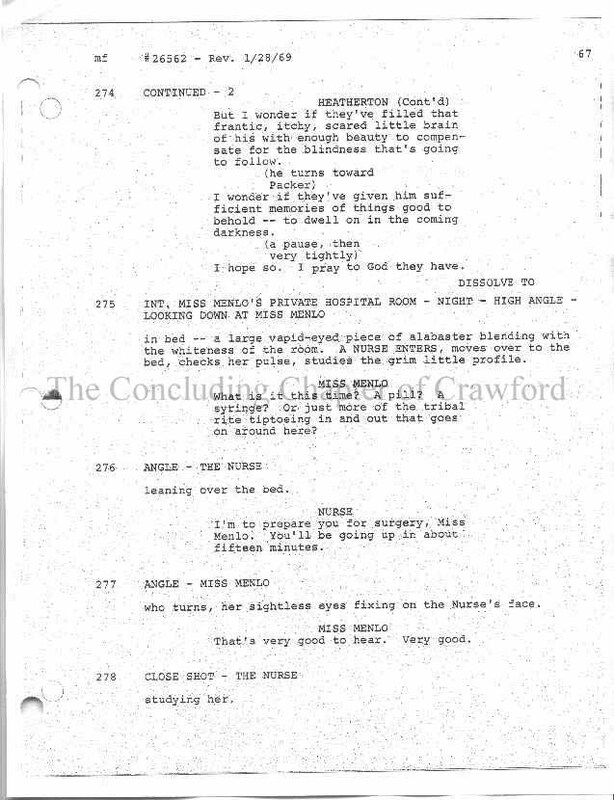 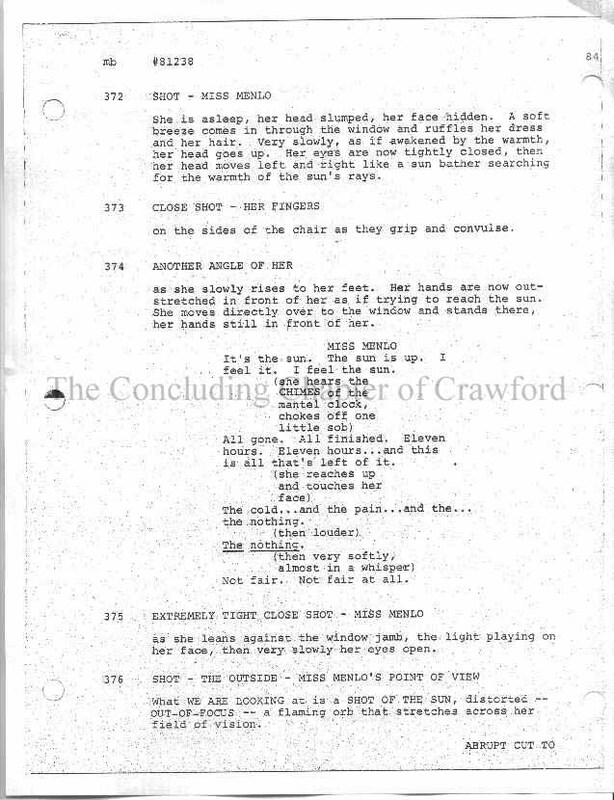 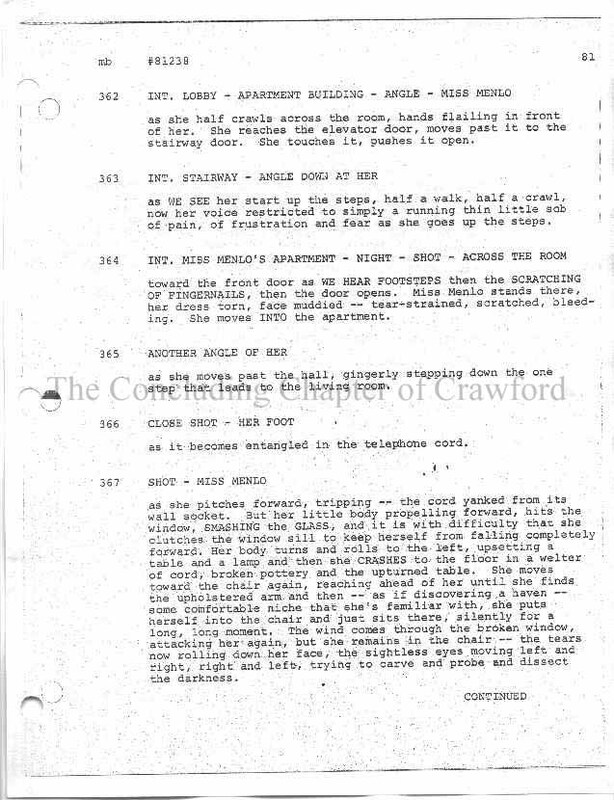 The complete final draft (shooting script) of "Night Gallery" episode "Eyes". 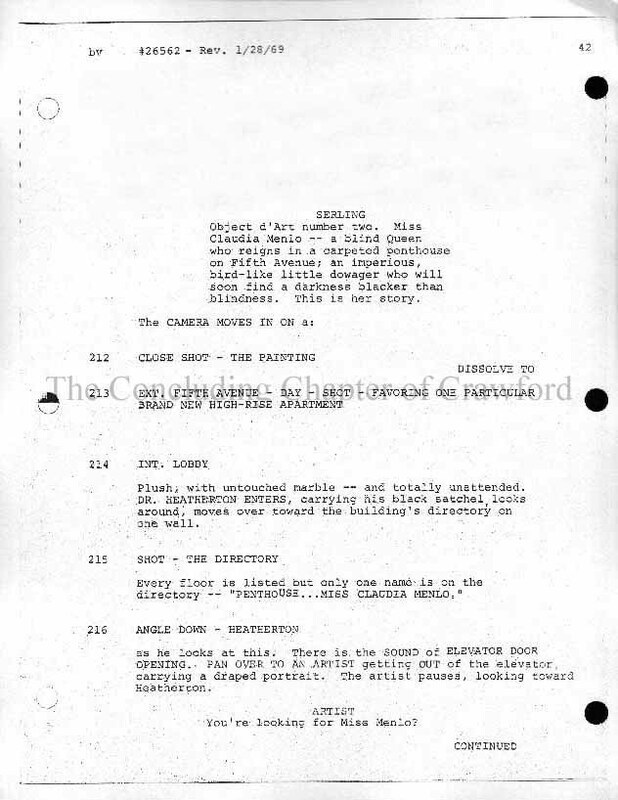 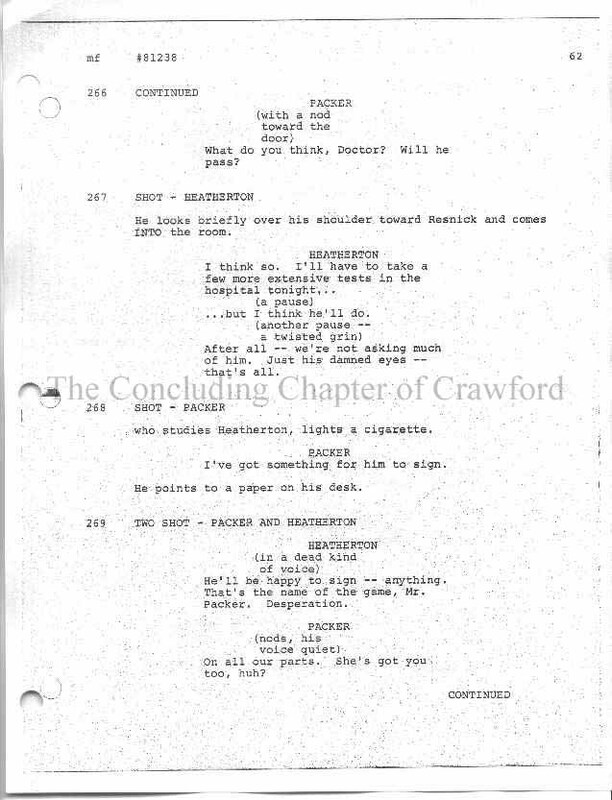 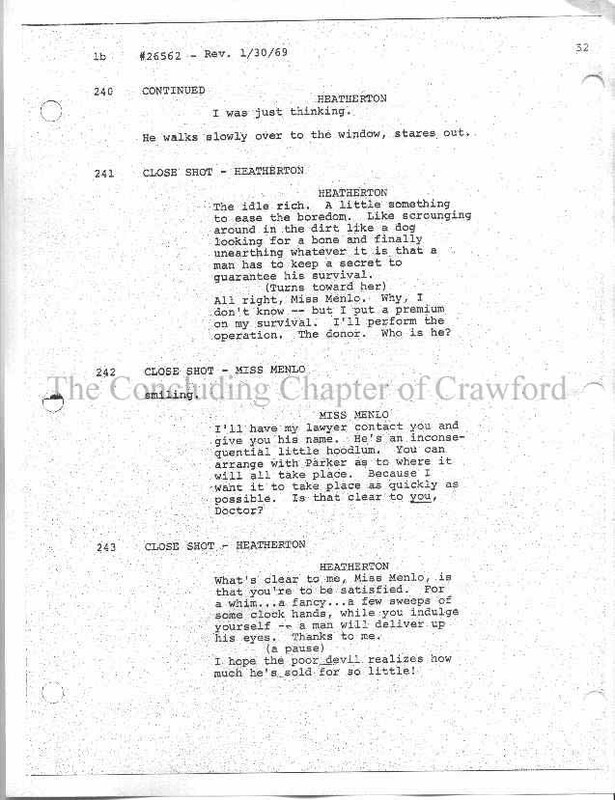 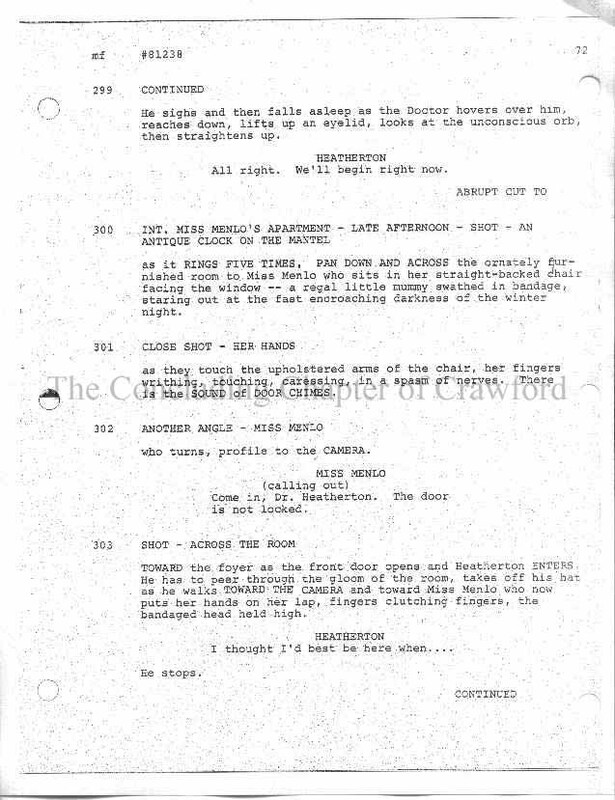 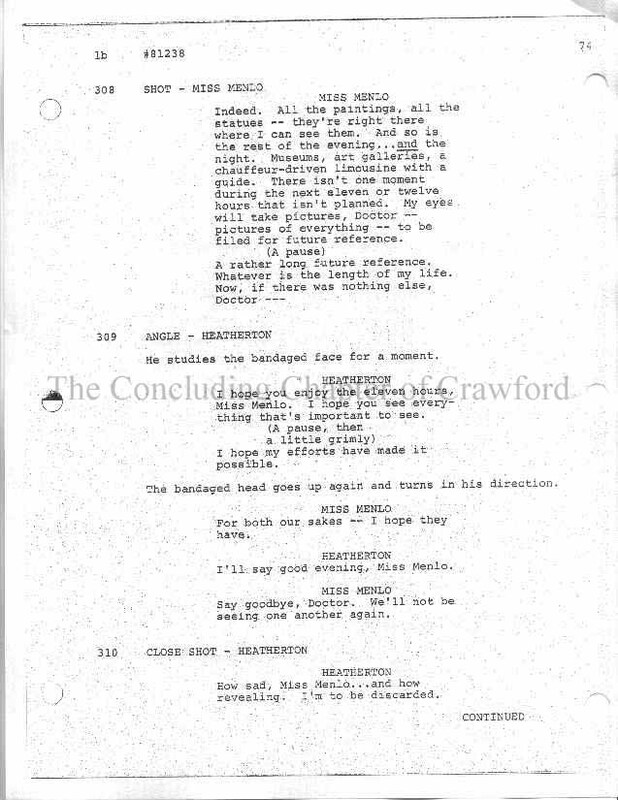 This draft includes several extended scenes and scenes that is believed to have been filmed however not included in the final editing​. 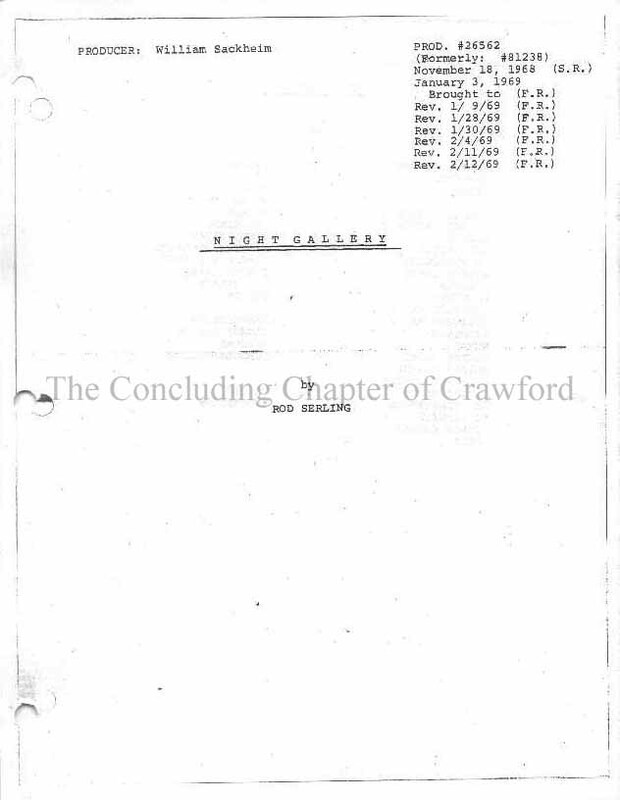 The final draft displayed here exhibits revisions made on: 01/09/1969; 01/28/1969; 01/30/1969 and 02/04/1969.